Succotash and The Three Sisters Butter beans are often incorporated into the dish "succotash." Succotash is derived from the Native American word "msiquatash" and is made by combining the "three sisters" of corn, squash and beans. We bring you a version of this historical recipe with our Pork Porterhouse and Succotash. These three textures and flavors meld well together creating a pleasing finished result. Even more, the corn, squash and bean plants support each other in their growth as crops. Because corn grows high, the bean stalk is able to coil itself around it as if it were a natural bean pole. In turn, the large leaves of the squash hold in moisture around this bean-corn base and help prevent weeds. The bean stalk fixes nitrogen in the surrounding soil for the other two plants to use. These three crops work harmoniously together both in nature and on your taste buds! 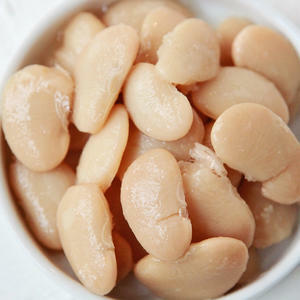 Butter Bean Nutrition Butter beans are a great source of B-vitamins, iron, and fiber. They also make for an excellent protein choice for both vegetarians and meat-eaters alike. Because butter beans are so low in fat and calories, they are a heart healthy option. This summer we bring you a Butter Bean & Barley Salad with Feta & Eggplant Coins. Enjoy this healthful legume as it takes on the saltiness of the feta paired with the chewiness of the barley.